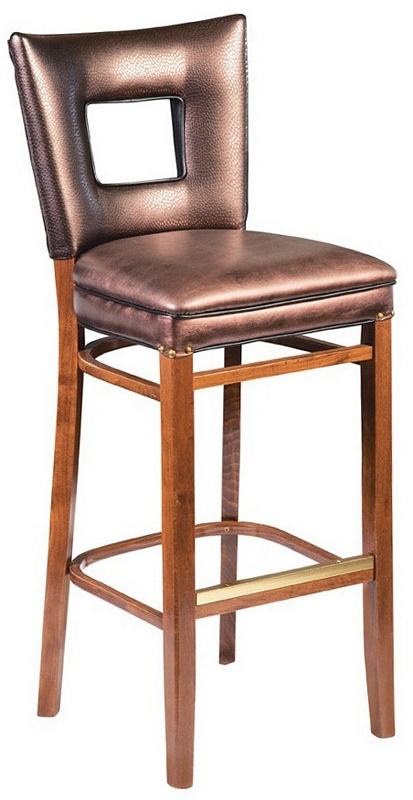 This wood bar stool with upholstered seat and square cut-out back combines sleek modern style with classic charm. Wood frame available in Mahogany, Walnut, Cherry, Natural, Honey, and Dark Walnut. 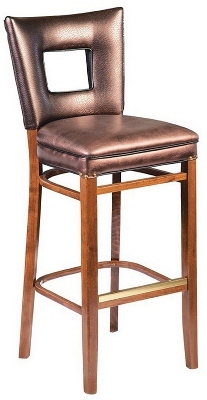 Nail head trim and footrest available in brass or chrome.